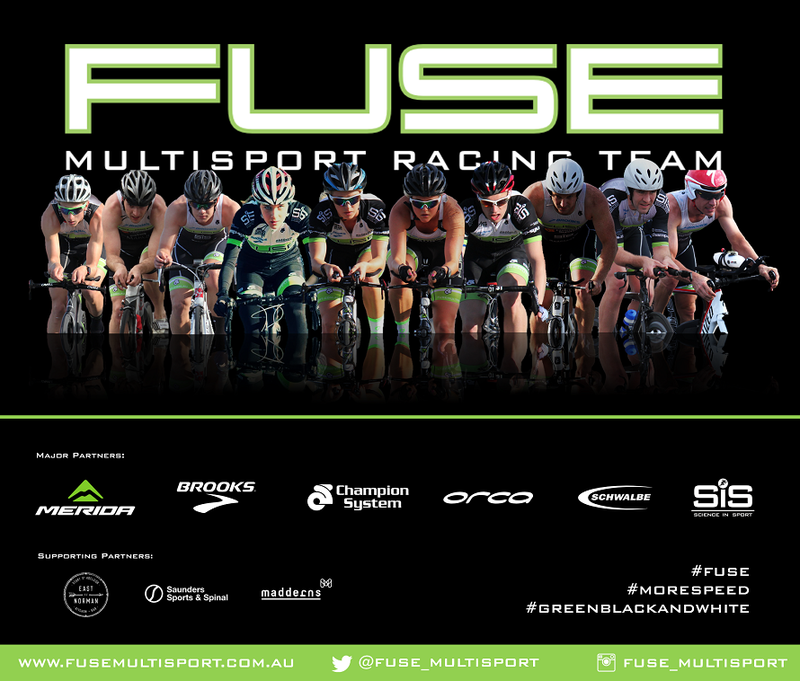 Amber, Sarah and Michael repped Fuse today at Race 2 of the Moana Triathlon 2016/2017 Series, with Ben and Liam in support. Blustery Northerly conditions combined with a big outgoing tide made for a challenging swim today with a new 2-lap swim course having athletes exiting the swim about 900m South of the Moana SLSC - and adding a long beach run to T1. Amber led the women's field out of the water - with Sarah coming out in 3rd place. In the Open men's event, Michael came out of the water in 3rd in a pack with Amber. The strong Northerly wind made the out leg on the bike slower than usual, but the return leg was fast. Amber established about a 4m00 gap over the field in the 2-lap bike leg on her Merida Bikes Australia Scultura 6000 in training configuration and defended that from a fast finishing Sarah - who put together a solid race, with a strong combined bike and run performance. Sarah came home with the 4th fastest all-comers run split of the day - and 2nd place (women) // 11th overall. 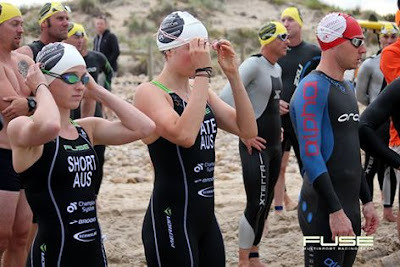 Amber came home 1st (8th including the men) in her first race since Renmark last season, with a dominant swim-ride combination that had her competing for the placings in the Open Male field well into the bike leg. In the Open Males, Michael had a great race on the back of resuming training this phase - taking out 3rd - which is a good sign of things to come. Next up on the schedule is the Sam White Aquathlon.